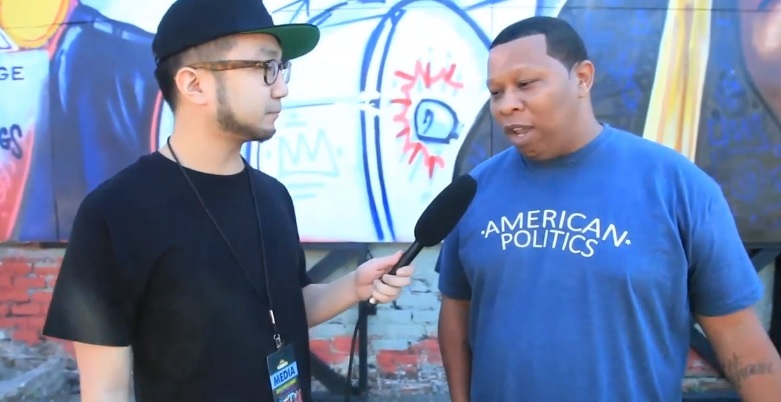 Vibe’s Mikey Fresh catches up with Mannie Fresh just outside of Red Bull’s 2013 Street Kings competition in New Orleans. The former Cash Money producer shares his thoughts on the importance of Brass Bands to the culture and his love for the sound which he uses even in his own music. Check out Mannie speak on his love for Jazz and his past collaborations with different artists. This entry was posted in Interview, Video and tagged brass bands, hip hop, Interview, Mannie Fresh, mikey fresh, new orleans, rap, red bull, vibe tv. Bookmark the permalink.